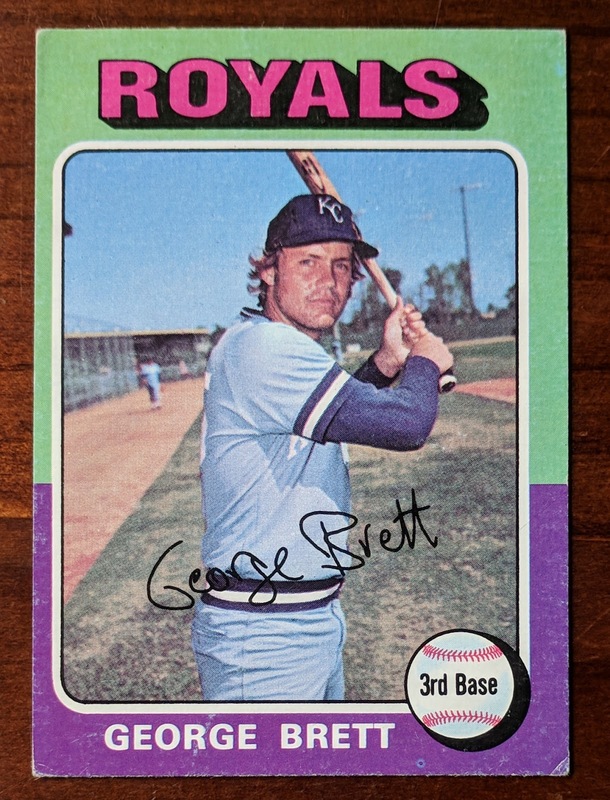 Baseball Card Breakdown: finally got a George Brett rookie! After an arduous, dragged out, stressful Twitter trade (that I'll likely rant about it a future post), it felt like the cardboard gods were offering me some gracious karmic payback when I got an email from a guy basically offering to send me a George Brett rookie card in exchange for future custom-making consideration.. and not even like a huge custom project, but just like a few cards. YES! I had worked with Alex T. before on a pair of MC Hammer custom cards he wanted whipped up a couple years back. He was going through some of his old cards, found the Brett, and recalled seeing it atop my "Wishful Thinking" desperate double dozen wantlist. 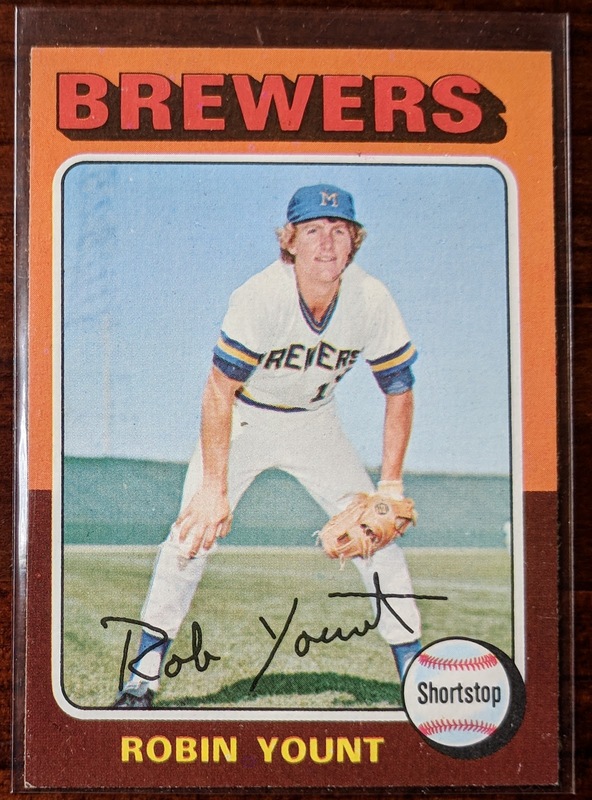 Alex then asked if I had any interest in a '75 Robin Yount too. YES! I already had a rough-condition copy that Mark Hoyle kindly sent me back in 2015, but this is a big upgrade. Now I can keep the other one in the PC and put this nicer copy toward the setbuild. 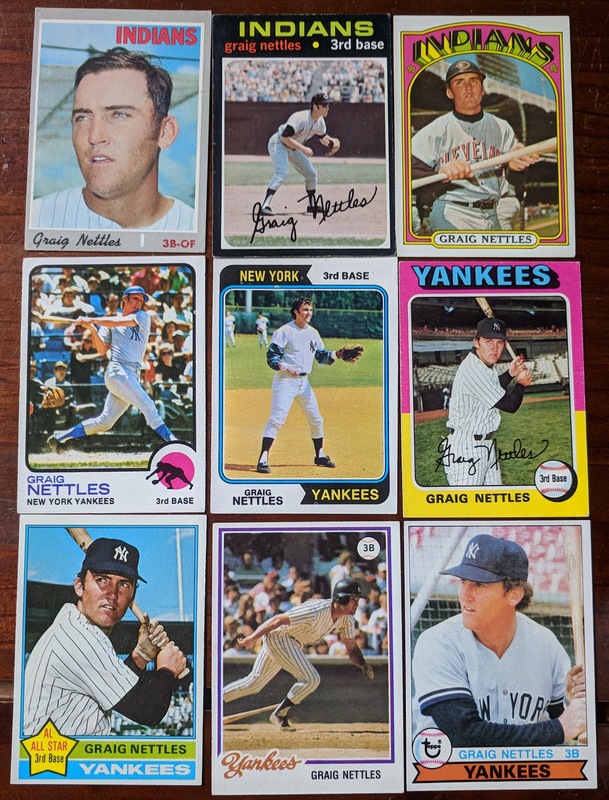 And while that pair of vintage HOF rookies was plenty, Alex was nice enough to throw in some more cards he thought I might be able to use. 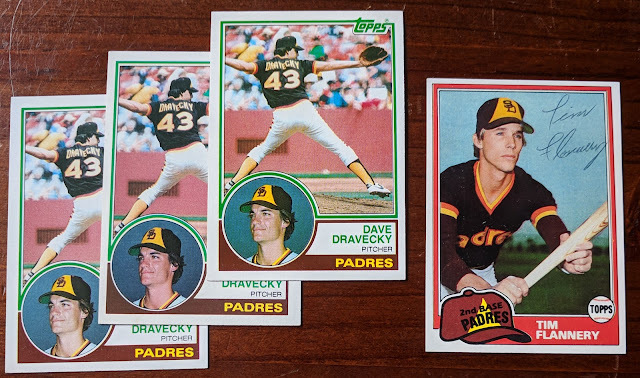 Great trio of Dave Dravecky rookie cards, and a signed Tim Flannery. Very happy with this run of Graig Nettles' Topps cards from the 70s. 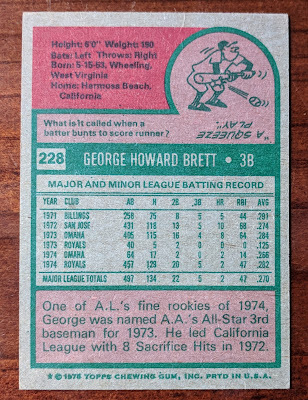 The closer-cropt '77 card is the Burger King version. 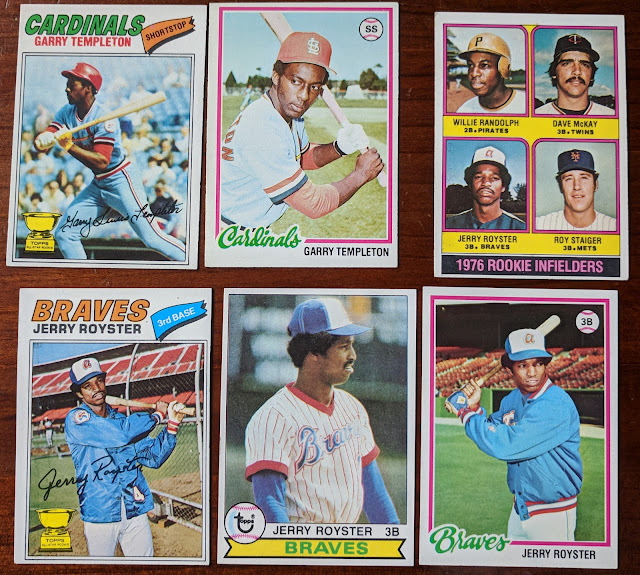 Much of these I needed for the PC (Graig's an SDSU guy), and any dupes can go toward sets. Garry Templeton and Jerry Royster.. more 70s set fodder. And a great batch of badass m.f. 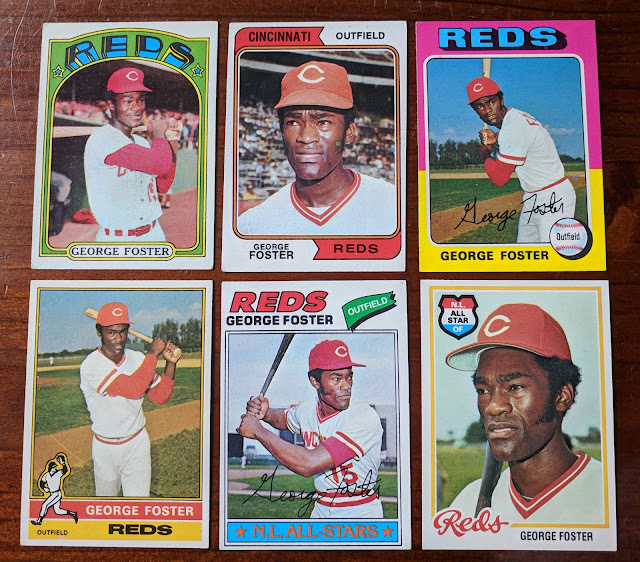 George Foster. Thanks again so much, Alex! 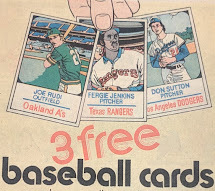 Terrific package of cards. And I really needed that friendly, super easy transaction after the frustration of the other recent deal I made. Just let me know whenever you've got custom ideas you'd like to throw at me and I'll be at your service. Nice stuff there. I was holding a '76 Nettles for you - do you still need it for a '76 set? Yes, I could still use another one.. thanks! Great. I don't have much new trade bait but maybe I can put something together for you. Are all the Bridewisers gone? 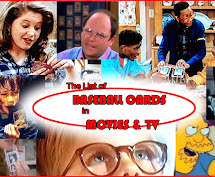 Got one set aside for you and 2 or 3 other cards you might like. That's very kind of you! I'll see what I can scrounge up for you. Glad you got the Brett and Yount! Also love the Dravecky rookies! He’s a great ttm guy. 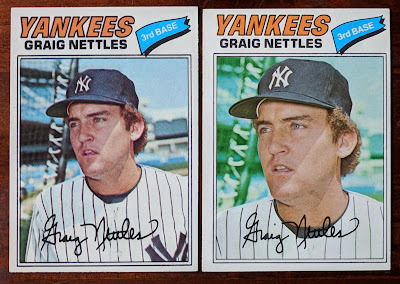 I didn't know that the Nettles BK card was a little different! Cool to know. Thanks! Sweet trade for gav specials!!! he'll love 'em! P.S. That's one heck of a trade. 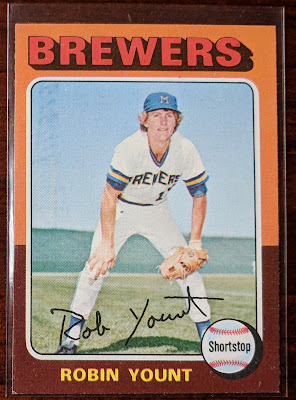 That Yount is in beautiful condition. 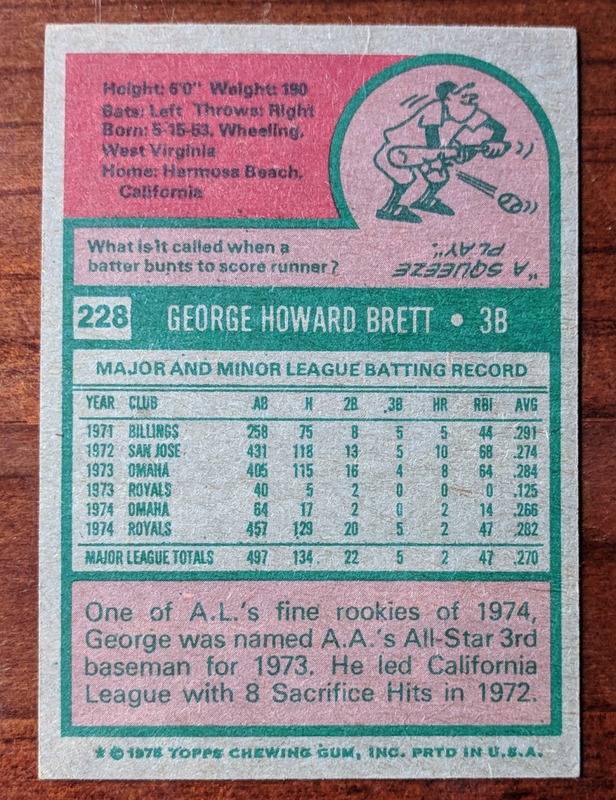 Congrats on getting the Brett and Yount, especially for just custom work!